An adventure during a vacation is the perfect getaway from work. If you are like me and cannot just lie down next to a pool or at the beach then planning something exciting is the only way to travel. Escape the crowds on the climb to the cliff-clinging Taktsang Monastery, this Himalayan kingdom is well documented in photographs. The monastery is reached through the Bumdra Trek, a gentle challenge for a dramatic pay-off. Experience traditional life at farmhouse homestays, spot black-necked cranes, and visit the temple of the “Divine Madman” near Punakha’s monumental dzong (fortress-monastery). This temple dedicated to an outrageous Lama, Drukpa Kunley –chimi Lhakhang is situated on a small hillock barely 15 km away from Punakha. 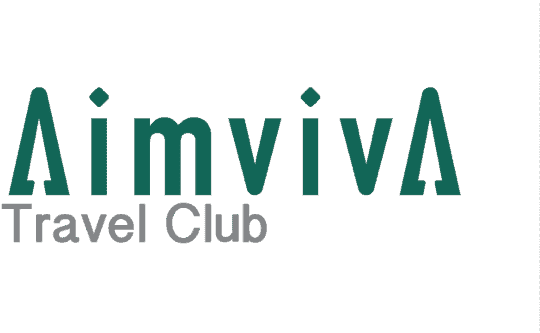 Expedition to the high Himalayas, more than six thousand meters for your fill of thrills. Join a new mountaineering skills programme in the high Himalaya in Nepal. Peak climbing in Nepal is the real deal. After a scenic trek through pine forests, you will rehearse using knots and fixed lines, placing rock and snow anchors, belaying, rock and ice climbing all against the backdrop of 2300ft peaks. Rainforest and desert, hiking and diving, all in Madagascar. This dream adventure for any outdoor enthusiasts allows you to discover weird wildlife and quirky landscapes dissimilar to any other, on a one-off journey. If you need inspiration check out Hilary Bradt and her guidebook co-author Daniel Austin. Amongst rainforest, bulbous baobabs, limestone pinnacles, and bizarre spiny bush you will spot lemurs, chameleons and plenty of other oddities on the Red Island. 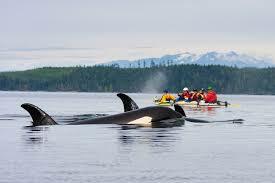 Spending four days at a luxurious, kayaking and killer whale’s base camp may change your idea of being content in the wilderness forever. Listen to the warm-blooded killers during a kayaking adventure off Vancouver Island in British Columbia. Guides dip hydrophones into the water to pick up the vocalizations of journeying orca. You will see and possibly even hear humpback whales on your paddling expeditions. Push up the predator tally at Knight Inlet and the Great Bear Rainforest, where you can meet grizzlies and bald eagles. For the ultimate Jungle experience; try jungle trekking within the natural beauty and astounding scenery of Borneo’s last great wilderness; Sabah’s Lost World Maliau Basin. This awe-evoking biological wonderland is difficult to reach but is well suited for those who do not mind being away from the city’s comforts. Join explorer Robin Hanbury-Tenison’s guides on a return to the remote Maliau Basin in Borneo 40 years after leading the first major expedition. After a four-day trek into this hotspot of Biodiversity, home to threatened Sumatran rhino and clouded leopard, go ahead to the Danum Valley in search of leopard cats, and meet the scientists studying the rainforest. We hope you like our suggested adventures? We’d like to hear where you have been, or are desperate to get to for an adrenaline filled getaway? Why not check out our 5 Favourite Travel Hacks?